Welcome to the Reptile Tank Scrubbers & Scrapers superstore! 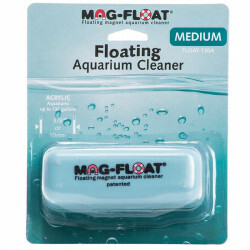 Keeping your aquatic or terrestrial reptile's tank clean is important not just for your ability to view its activities, but also for its general wellbeing. This is especially true in aquatic tanks, where algae can grow and accumulate to create potentially unhealthy water conditions for your pet. 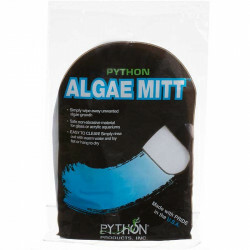 At petmountain.com, our collection of premium tank cleaning supplies has everything you need to get every part of your reptile's tank, from the glass to the filter, looking and performing like new. 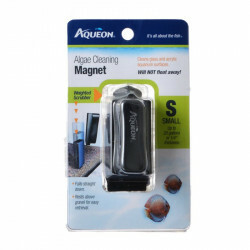 Pet Mountain's Reptile Tank Scrubbers & Scrapers store features top quality products from Blue Ribbon Pet Products, one of the most trusted names in reptile tank care and maintenance. 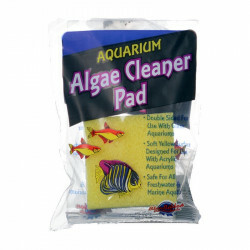 Our low price leader, the Blue Ribbon Double Sided Algae Cleaning Pad features a spongy soft side and a stiff, coarse side for removing algae from aquarium and terrarium walls. 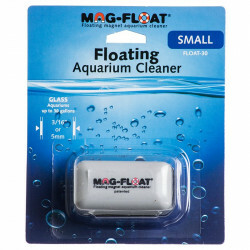 It will not scratch or damage any aquarium surfaces. 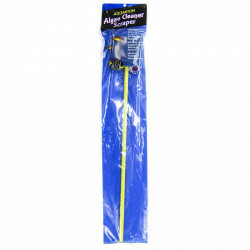 If you're looking for a great deal, our Blue Ribbon Double Filter Brush for Aquariums is a double-ended cleaning brush with medium and large heads on a flexible handle. 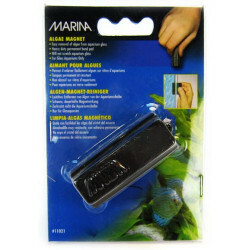 This brush is ideal for cleaning the filter, up-lift tubes, and all aquarium supplies. Our discount Blue Ribbon 3 Piece Filter Brush Set contains Small, Medium, and Large cleaning brushes on flexible handles. This set fits most popular size tubes and is ideal for cleaning filter and uplift tubes with ease!